A pair of earrings that captivate through their versatility. You can wear them with various outfits, from a smart-casual combination to an elegant dress or deux-pieces. 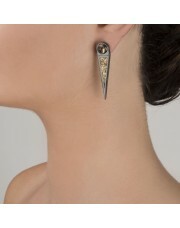 The Nyx earrings are part of the "Ultra Chic" collection created by Anastazio in 2018. Anything you are in the mood for, from boyfriend jeans, a top and high heels to an elegant outfit or a pleated skirt and leather jacket. 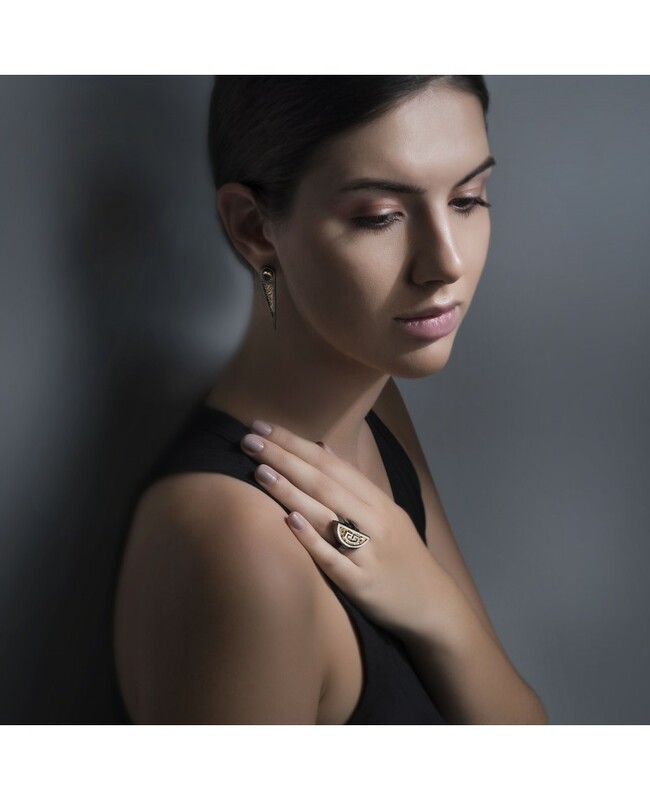 ANASTAZIO KOTSOPOULOS is the founder and creative director of the eponymously named Athens-based fine jewelry label, ANASTAZIO. One of Greek’s emerging and talented contemporary jewelers, his passion for jewelry unfolded in the company of his brother, a noted gem-setter in Greece. 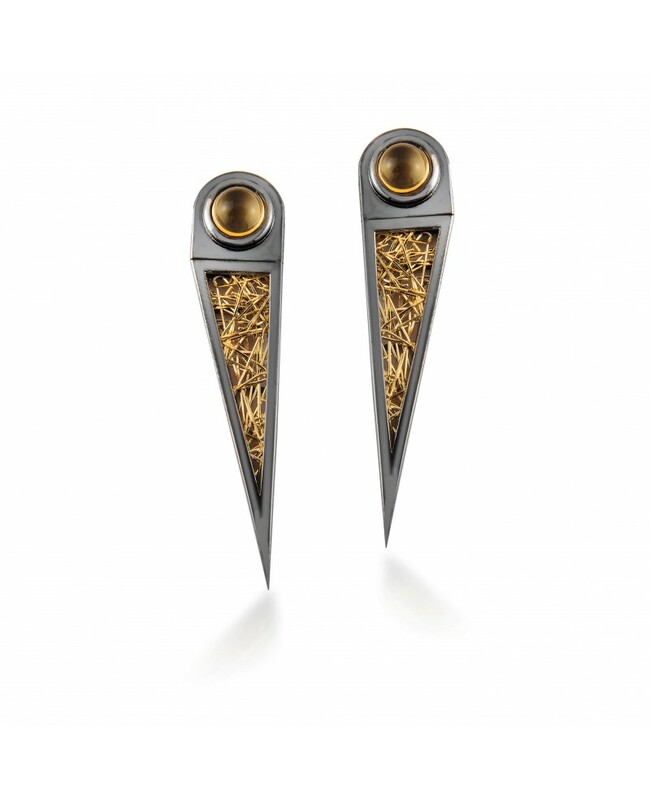 Drawing upon geometry, textures and inspirations from Greek folklore, Anastazio’s jewelry is steeped in craft tradition and influenced by his heritage. 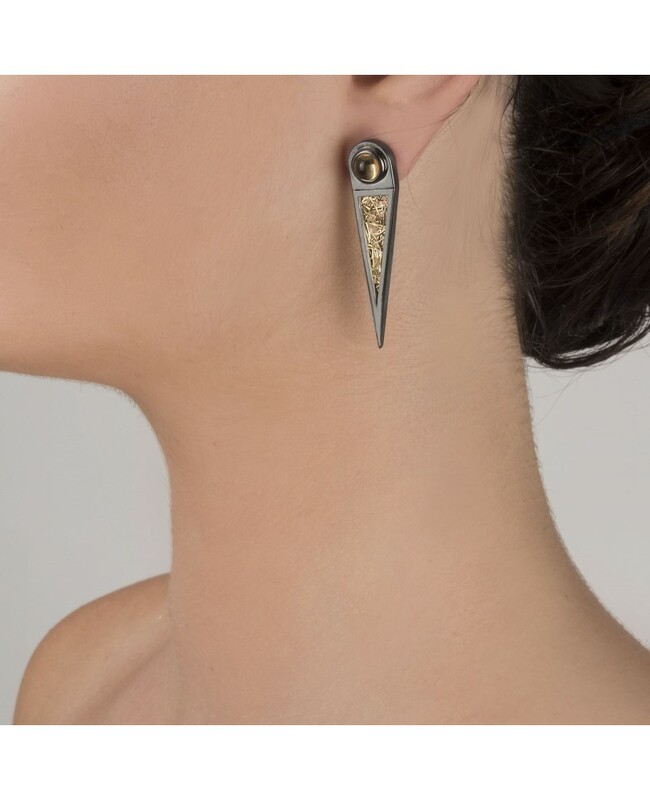 Through his work, Anastazio shares his love for artistic jewelry, inspired by ancient cultures, the nature and love of feminine sexuality.